DMA or Direct Memory Access is a method that allows and input/output device to send or receive data directly to or from the main memory, bypassing the CPU to speedup memory operations. The advantage of using DMA is that we can use multi channel conversion. 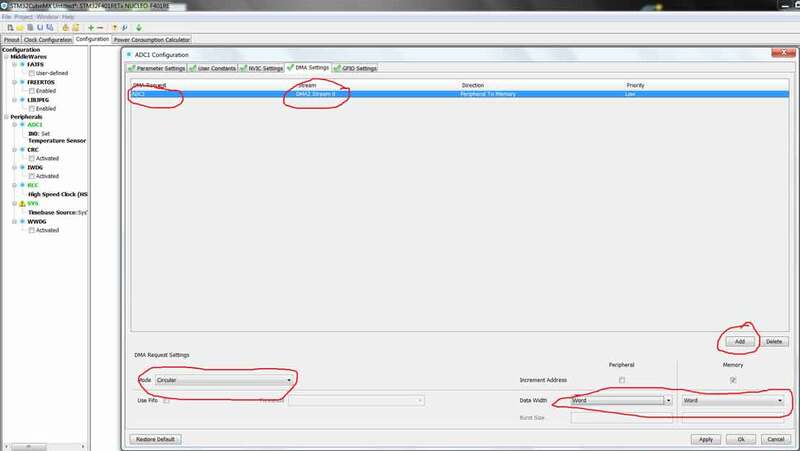 The result of the conversion will be stored in the memory and at any instance during the code, we can access that memory and read ADC values within interrupt service routine. In this Tutorial I will use two channels, One of them is Internal Temperature Sensor of the Cortex M4 and second is the IR sensor. 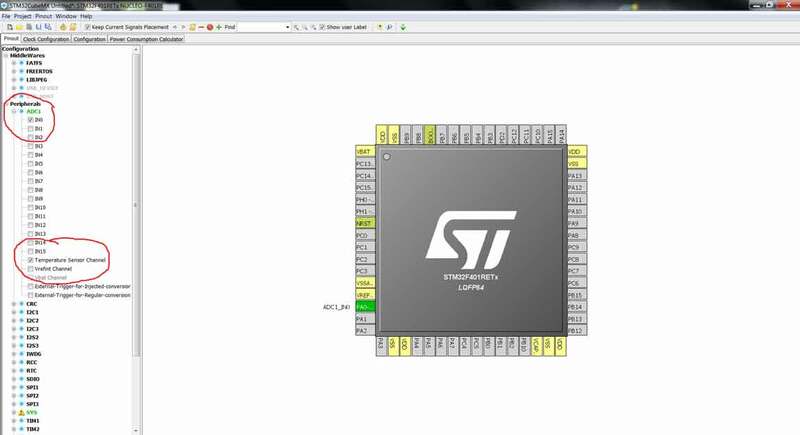 I will be using STM32CubeMx, Keil IDE and HAL libraries as usual. NOTE:- Temperature sensor is being used just to show different values for the two channels. 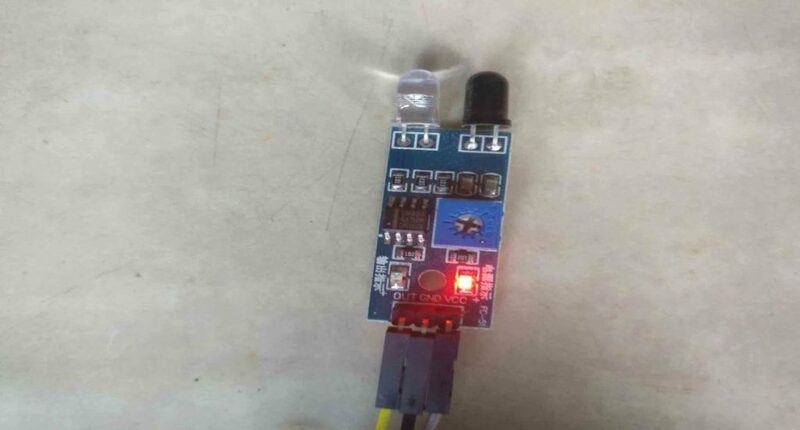 I will make a separate tutorial on how to read the Internal Temperature sensor. As i am using two channels therefore adc_buf should store two bytes and so does adc_val. Now whenever the conversion is complete, the values present in adc_buf will be saved in adc_val, which we can read at any instant in our program. NOTE here that We set DMA in circular mode which means that the conversion will continue in circular mode, latest value overwriting the oldest one. HAL_ADC_Start_DMA (&hadc1, (uint32_t *) adc_buf, 2); Here HAL_ADC_Start_DMA takes following arguments ADC_HandleTypeDef* hadc ---> ADC handler uint32_t* pData ---> The destination Buffer address uint32_t Length ---> The length of data to be transferred from ADC peripheral to memory. uint32_t Length ---> The length of data to be transferred from ADC peripheral to memory. To demonstrate the working here, I am going to write an infinite loop to read the values from buffer every 1 second. I am going to create another variable for debugging purpose, whose value will update every 1 sec. 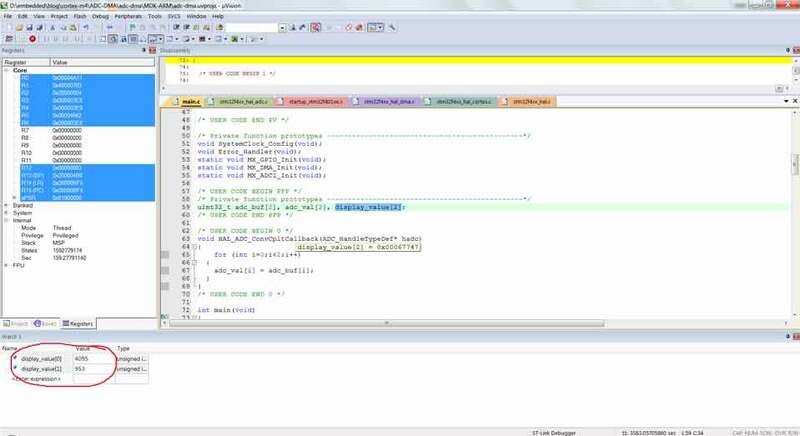 Compile the code and start debugging. 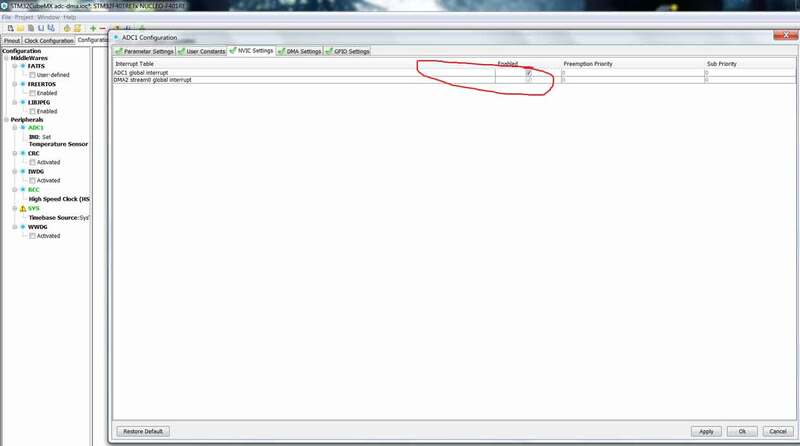 Add display_val (for channel 0) and display_val (for internal temperature) to the watch list and run the debugger. 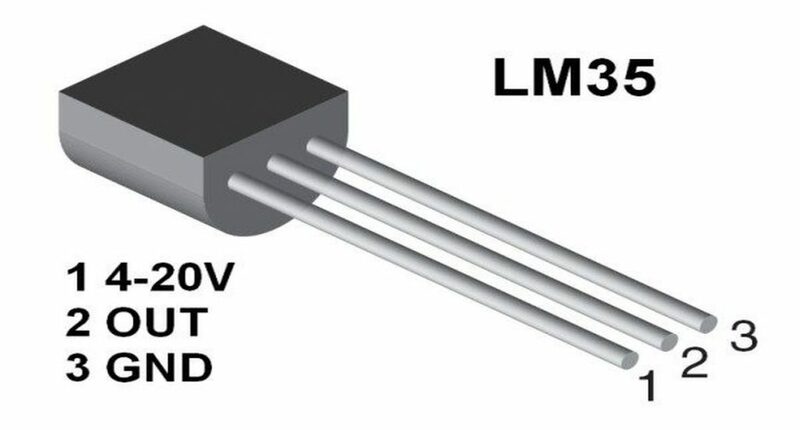 Initially the channel 0, which is connected to IR sensor, shows 4095 because there is no obstacle in front of it and internal temperature sensor shows 953. We still have to convert this value to Celsius scale. We will see that part in another tutorial. IR sensor value changes on bringing something near it but temperature remains same. As the main() function suggests, we are reading values every 1 sec, so the change is not instant but only after a delay of 1 sec. 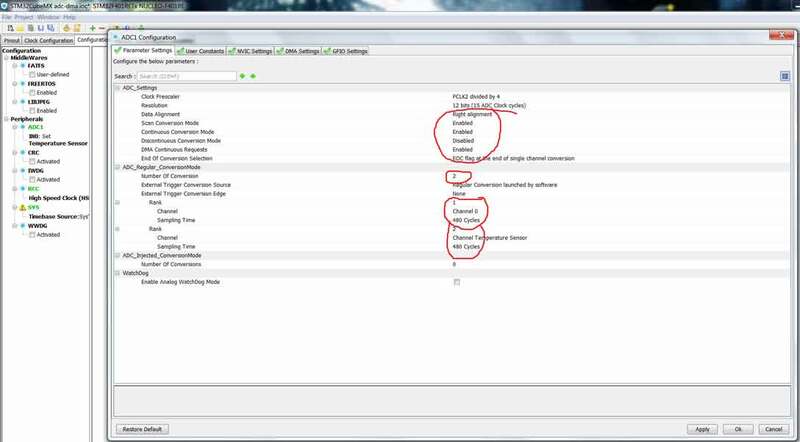 This is how we use DMA to for two different channels without compromising the cpu time. The converted data will be stored in memory and we can access it at any instant during the entire program. We can use DMA to do as much conversion as we want (obviously limited by the number of channels present in the microcontroller). Since adc_buf is written by the DMA hardware and adc_val is written in an interrupt handler, the compiler needs to know not to cache these variable.